Adopted for Life is a manifesto calling Christians to adopt children and to equip Christian families going through the process. 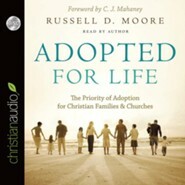 Offers biblical foundations for adoption and identifies adoption as a Great Commission priority. Paperback. A Focus on the Family Recommendation. Russell D. Moore serves as Dean of the School of Theology and Senior Vice President for Academic Administration of The Southern Baptist Theological Seminary. He also served as the first Executive Director of the Carl F. H. Henry Institute for Evangelical Engagement. He contributed a chapter on Christian political thought to Looking into the Future and coedited Why I Am a Baptist. The gospel of Jesus Christ  the good news that through Jesus we have been adopted as sons and daughters into Gods family  means that Christians ought to be at the forefront of the adoption of orphans in North America and around the world. 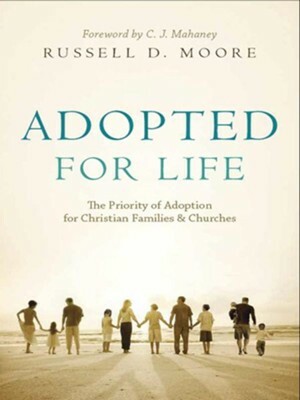 Russell D. Moore does not shy away from this call in Adopted for Life, a popular-level, practical manifesto for Christians to adopt children and to help equip other Christian families to do the same. He shows that adoption is not just about couples who want children  or who want more children. It is about an entire culture within the church, a culture that sees adoption as part of the Great Commission mandate and as a sign of the gospel itself. 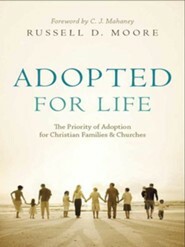 I'm the author/artist and I want to review Adopted for Life: The Priority of Adoption for Christian Families and Churches - eBook.